"The take-home message to me is that the American public actually did listen to the U.S. Preventive Services Task Force." "I’m hoping that men are being allowed to make a choice and this decline reflects the fact that they prefer not to be screened," said study author Dr. Otis Brawley, who is chief medical officer for the American Cancer Society in Atlanta. Williams says Codiak will first try to make exosome-based drugs and diagnostics for pancreatic cancer, and should be in the clinic testing its first candidate next year. Company secures $80-plus million in committed funding to develop exosome-based therapeutic and diagnostic products. The company, which was primarily funded by Arch Venture Partners and Flagship Ventures, is cofounded by Eric Lander, the founding director of the Broad Institute, and will be led by Douglas Williams, most recently the executive vice president of research and development at Biogen. In this study, we assessed whether a novel immunotherapeutic approach that we have devised, called personalized peptide vaccination, could improve outcomes for patients who have advanced bladder cancer that has progressed after platinum-based chemotherapy. "This really is a groundbreaking development and one of the most promising advances in pancreatic cancer research for decades." "We are hopeful that within the next one to two years we can start to begin clinical trials with this technology." Cerulean's CRLX101 uses a nano delivery vehicle to dispatch small doses of the highly toxic camptothecin directly to targeted cancer cells. But in a Phase IIb drug study back in 2013, the drug flopped badly. "I think the value part of it is important. It’s not about the prices are of drugs, it’s about the value that it ultimately delivers." Genmab has struck deals to give away rights to partners in exchange for them funding development. The approach made sense for a drug like Darzalex, which Genmab could never have afforded to develop on its own, while J&J has devoted hundreds of staff to getting the medicine to market. Senators questioned Dr. Califf, a cardiologist whose consulting work for the pharmaceutical industry has raised questions among some public health groups. The decision means that the UK’s National Health Service will not cover the $137,000 per patient cost of the drug for women in Scotland and Wales. However, Roche struck a separate deal so that a special government fund will foot the bill for women in England. Although retained for use through the Cancer Drugs Fund, Roche’s breast cancer combination treatment, Kadcyla (trastuzumab emtansine), will not be recommended for routine NHS use because its price remains too high. AstraZeneca has previously said it believes Tagrisso could generate peak sales of $3 billion a year, making it a key product in the group's growing oncology portfolio. New Data on the myChoice® HRD and myRisk™ Hereditary Cancer Tests Will be Highlighted. 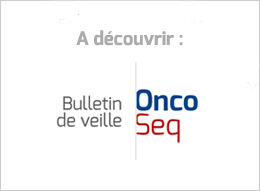 A phase 2 randomized trial of the IDO pathway inhibitor indoximod in combination with taxane based chemotherapy for metastatic breast cancer: preliminary data. Just 23 percent of people in the U.S. have “great confidence” in doctors (down from 73 percent in 1966). Why? The NEJM authors believe that some of the frustration may relate to the very public disagreements between “experts”—specialty societies, expert panels convened by the government, and researchers who build and report the evidence—on what should be done, for whom, and when, in routine clinical practice. “As our population ages, cancer is expected to become the leading cause of death in the U.S. by 2030. We cannot afford for promising research to continue to go unfunded, for new studies to be scaled back, and for fewer cancer patients have access to clinical trials. It is time for Congress to right this wrong by seizing this opportunity to provide increased funding for NIH and NCI." I predict that Bollinger will have blood on his hands: people will die because they believed this was “the truth about cancer” and were persuaded to reject lifesaving treatment. Over just that five years, I became quite disheartened at Burzynski’s seemingly undefeatable ability to evade justice and keep doing what he’s doing, FDA and TMB be damned. This time around, I feel an optimism that I haven’t felt in a long time about the prospects of finally shutting Burzynski down and preventing him from preying on desperate cancer patients any more.